As the youngest child of Jake Wheatley, Sr. and Rosie Taylor, Jake learned rather quickly that in order to get things done, you need to step forward or get left behind. It was with that attitude that led Jake to join the United States Marine Corps and serve his country during Operation Desert Storm/Desert Shield. During that effort, Jake received the Combat Action Ribbon, the National Defense Service Medal, and the Kuwaiti Liberation Medal. Additionally, Jake holds a Bachelor’s degree in Political Science from North Carolina Agricultural and Technical State University where he graduated with honors and would then go on to receive a Master’s in Public Administration from the University of Pittsburgh. Jake would join the Coro Center for Civic Leadership, engaging in community affairs across Pittsburgh. And in that continued spirit of service, Jake was elected to the General Assembly where he has built a solid reputation as a thoughtful and independent champion for our community. Jake is only the second member ever to be selected to serve on the powerful Appropriations Committee as a first-term legislator. Now, in his 7th term, Jake serves as Co-Chairman of both the Hunger Caucus and the After-School Caucus, and is the Treasurer of the bipartisan Legislative Budget and Finance Committee. From his very first day of service, Jake has championed the cause of access and inclusion for all of Pennsylvanians. And Jake has been a stalwart for the 19th District, pushing for economic development, mass transit, and true education funding and academic advancements for all children. He has also been an advocate for providing leadership on covering every Pennsylvanian with quality, affordable and error-free care. Working with his neighbors and residents of the 19th district, Jake led a community initiative calling for a Community Benefits Agreement between the Hill District community, the City of Pittsburgh, Allegheny County, the Sports and Exhibition Authority, the Urban Redevelopment Authority and the Pittsburgh Penguins. Improving the quality of education for all children is a high priority of Jake’s and as a member of the House Education Committee, he has initiated reforms to close the “achievement gap” in Pittsburgh’s schools. When the Pittsburgh Public Schools budget called for school closings, Jake went to work to organize our entire community to address the concerns of parents and to give them a voice in how these decisions would impact their children and their families. His leadership helped ensure the communities most impacted by the creation of the gaming industry had a voice at the table. And because of that advocacy, Jake was able to receive a commitment of $6 million from Don Barden and the Rivers Casino, to be shared equally between the Northside and Hill District neighborhoods. Working with other community stakeholders, Jake was able to bring about the completion of a multi-year community engagement process which led to a historic Community Benefits Agreement and CCIP. 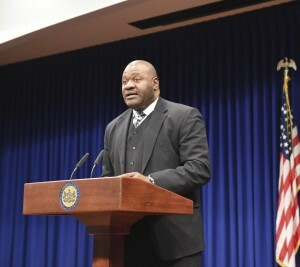 Jake Wheatley has always believed that he works for those who have sent him to Harrisburg, and has used the late Speaker K. Leroy Irvis’ statement “Through us, they speak” as a guiding principle in his daily work. For this same reason, Jake calls his district office “The People’s Office” as a daily reminder of this principle to himself, his staff, and the people he is honored to serve. While the politics of Harrisburg are uncertain, there are a few things that remain constant: Jake leads with purpose so that each of our neighborhoods prosper.